New Year resolutions can be frustrating. your excited and ready to go. Your a race horse ready to be let out of the gates. But as soon as you are released and you start your resolutions things begin to slow down. You are not seeing results as fast as you would like. This can be discouraging and make you think why you are bothering to keep up with your resolutions. Slow and steady wins the race. 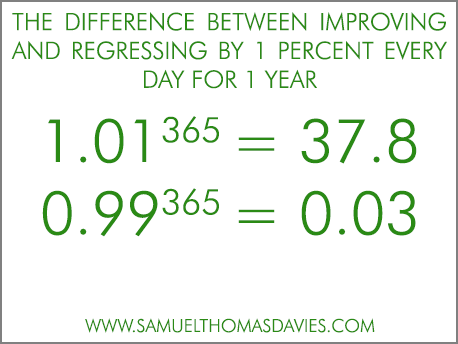 Even if you get a 1% improvement, your are going to improve. And if you build off of that one percent you will continue to improve. There are lots of ways to say it but put it into practice is different. But making those small changes will make huge improvements in the long run. Any win, no matter how small it is still a win. All of those small wins add up to big wins over time. It is just like the story of the rich dad that offered to give his son $100, 000 today or a penny and each day he would double the money he gave him the previous day for 30 days, but it starts with the penny. The impatient son wanted the money now, so he took the $100,000 up front. If he would have waited and took the penny he would have had over 5.3 million by the end of the 30 days. People want those instant results, when waiting a little longer and improving a little bit every day will have longer lasting results. Dave Brailsford is a great example of showing us the power of the one percent improvement. He was hired on as the new General Manager and Performance Director for Great Britain’s professional cycling team. His challenge was to make the british team win the tour de france for the first time in history. 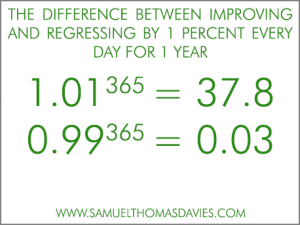 He explained it as “the 1 percent margin for improvement in everything you do.” He believed that if you improved every area related to cycling by just 1 percent, then those small gains would add up to remarkable improvement. They started by improving the usual things you would think of when working with a cycling team. They tweaked their training program and nutrition like you would expect. Then they worked on the ergonomics of the riders bike seat, and the weight of the tires they were using. That in itself is not that unusual. Just like a hockey player would find the best pair of skates and the best stick with the best tape that works for that player for maximum performance. Brailsford and his team didn’t stop there. They searched for other areas to improve upon. Area’s that other cycling teams were not looking at. Things like finding the best pillow that offered the best most restful sleep and taking those pillows on the road to hotels with them. He tested for the best most effective type of massage gel. And he even taught the team the best way to wash their hands to best avoid getting sick. He searched and improved on everything, even if it was just by 1 percent. This is no easy feet. I have trained professional athletes. they are already at the top, improving anything by a small percent is difficult. Brailsford was able to do it and the result was that they won the Tour De France in three years of him taking over. Let’s take that mentality and put it onto your New Year’s resolution. For our purposes we will make our resolution weight loss. Sprinting right out of the gate and trying to make all kinds of changes at the very beginning of the year will most likely end in disaster. Many of us don’t like change so trying to make a lot or large changes in the way we normally do things, in our normal habits and routines is usually not an attainable or sustainable thing. It takes 66 days to build a habit. Depending on whom you talk to. In my experience and from some of the past work I have done it takes about 6 months of regular exercise 2-3 times a week to build and establish the habit of exercise. That is 48 to 72 exercise sessions over the course of the 6 months. Which is right in and around that 66 day mark. And when I say exercise, I don’t mean 2 hours in the gym. The exercise could be anything from a 15 minute walk around the block to a short gym session. 1% of your day is 15 minutes. Start to improve yourself today by taking 1% of your day and going for a walk. Nutrition is the other factor in losing weight for those New Year resolutions. Going cold turkey (no pun intended after all that holiday turkey) on all your favorite foods and eating “Rabbit food” often leads to disaster in the long run. Improving your diet by 1 % isn’t hard either. Think about changing some of your eating habits by 1%. 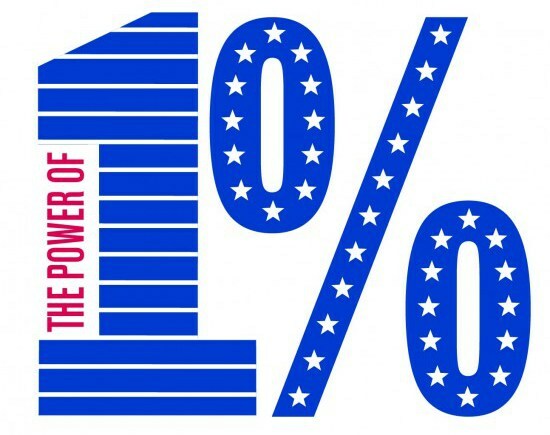 You can improve a lot by the power of one percent. Change the cream you put in your coffee to milk, change sugar to sweetener in coffee and other places you would normally use sugar. Use vinegar based dressing on salad instead of cream based dressing. Use tomato sauce instead of alfredo based sauces. There are many other small change you can make that we will explore in my next blog post. 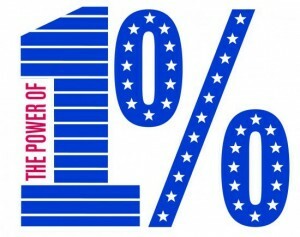 It might not seem like a lot but all those 1%’s add up. And once you compound all those 1%’s you can end up with some significant gains. Or in the case of weight loss, some significant losses.